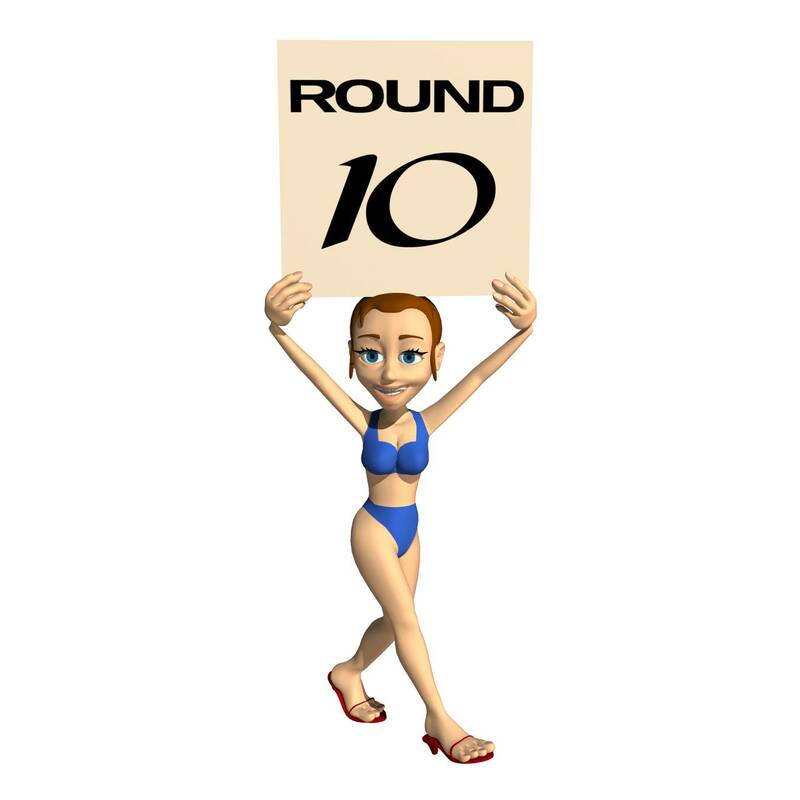 Jenna Fox becomes our Round 7 semi-finalist! Her opponent, I.B. Wrighton, will have his/her piece returned to the pool for a chance at re-selection for a future bout, and as always writers who have battled once are welcome to submit a different piece if they so wish. As always, you can check my WRiTECLUB 2012 results page for a breakdown of all the winners along with links to all of the writing samples. I’m going to whine a little now, so you might want to break out the cheese and crackers if you have them. 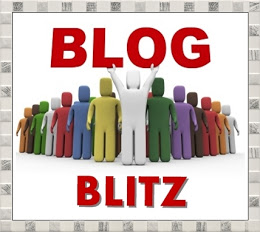 During these first two weeks of WRiTE CLUB my blog has seen more traffic than ever before. I've set personal records for site hits, visitors, and new visitors. Writers and Bloggers are coming by in droves to see what this sensation is all about. And with all of that wonderful activity going on…believe it or not…I’m lonely. I feel as if I’ve been talking AT you lately, and not WITH you. Most of the problem is that for each WRiTE CLUB contest posted so far, I've not responded to the flood of comments like I normally do. Not because I don't have the time (which I don't), but mainly due to the fact that the comments are directed more towards the contestants. The solution, blog more on topics un-related to the contest, but I’ve already lamented my minimal presence here in the blogosphere, hampered by my work-related travels (which continue this week). More blog posts just can't happen right now. Please don’t misunderstand me; the success of WRiTE CLUB is well worth sacrificing my own selfish need for attention, and hopefully when my traveling comes to an end I can devote more time to writing a post or two in between bouts. Until then, just know that I’m missing ya’ll. Whimpering over with. Standing in the far corner, weighing in at 479 words, please welcome to the ring……..I Am Not Shakespeare. “What’s that sound?” Penn shouts. A propeller-like whirl hums above us. My grasp on Penn’s arm is so hard we tumble off the side of the staircase and onto the hard, cold basement floor. Dad and Calvin leap into the air as I scramble to get my back off of the floor and on to my feet. Mom huddles at the bottom of the stairs, guarding herself from whatever is coming. Humming turns into a roaring freight train as the house starts to quake. Old canteens and oil canisters shake off the shelves, landing inches from my face. Penn rips at my arm. Before I realize what’s happening, the first story of the house peels open before us like a sardine can, exposing the fire-filled sky. Time stalls as the force of the impact blasts Dad and Calvin’s lifeless bodies into the air and over the remaining wall. Out of my line of vision. My breath catches as my mind wraps around the horror that tears my world apart. Flaming balls of fire descend from the sky like the Fourth of July. I follow them slowly realizing one is heading directly at us. It takes every ounce of energy to roll onto my hands and feet to stand, but I manage. Grabbing Penn’s hands, I pull him as hard as I can. “Mom! Mom!” I continue to pull Penn searching for any signs of life from the corner that once sheltered my mother. My body burns like the flames of Hell and suddenly I’m weightless. A loud snap and my vision goes white, then black. Am I dead? My arms and legs are momentarily numb. Brightness reanimates through the lids of my eyes and needle-like sensations start moving from my toes up my legs and into the rest of my body. “Charlie, Charlie,” Penn groggily slurs my name. A response wasn’t coming. In fact, I wasn’t sure what was. “Charlie, can you hear me?” Penn grunts, moving around. Hissing from a fire extinguisher draws my attention. The hose slaps freely. “Yeah, I can hear you. Are you ok?” My throat is dry. My stomach churning. “I think so. My leg hurts something awful. I think it’s broke” Penn stands, bending over me, holding out his hand. “Take it!” A two-by-four rights him. “You’re not there yet,” he says as he pulls me up on my feet. I sway a little, finding my bearings. Where our house once stood was now an ash-filled basin. Chaos ran amuck. “We need to find Mom and Dad,” I whisper. Penn nods, stumbling a little. “And Calvin.” Wrapping my arms around his waist, I shift my weight to counter his. The sky, once filled with fiery boulders, now spits ashes and smoke. We stand here. Two soldiers rising from the ashes. 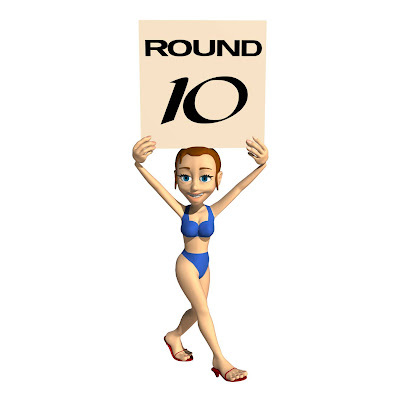 Anyone can vote (if you register on the Linky List at the link below), so leave yours for the winner of round 10 in the comments below, along with any sort of critique you would like to offer. Please remind your friends to make a selection as well. The voting will remain open for this round until noon Tuesday. 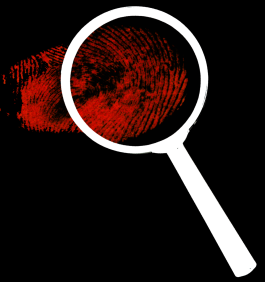 Remember, you can throw your pen name into the hat anytime during these last six weeks by submitting your own 500 word sample. Check out the rules by clicking on the badge below…then come out swinging! Lilith Trueblood gets my vote! 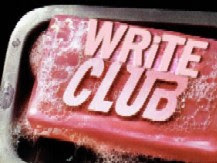 Kudos to both writers [and all the others in Write Club] for sticking their necks out there! I've got to go with I'm Not Shakespeare. While some of the phrasing reads clunky and needs a ton of tightening, this one hit me harder than its opponent. I hear the beginnings of a voice and I wonder if it would read thicker as the story progressed further. More emotion can definitely be pumped into this one. As for Lilith's entry: even in a short piece, I need to feel grounded. I had no footing in this one until it was over. There are too many names in so few words. Felt all too War of the Worlds to me. This bit of dialogue was the nail in the coffin: "My leg hurts something awful." Lilith's entry was exciting and full of potential, but I thought the description of the action needed work. I couldn't visualize where all the characters were, and phrases like "The hose slaps freely" threw me. What hose? I think this is going to be an awesome scene, but it's not there yet. Meanwhile I am Not Shakespeare's piece was smoothly written and compelling. I did wonder why the narrator said her mother had her red dress in a suitcase when she actually took all her clothes (and how the narrator could see the red dress) but other than that, I found this a strong piece. Aww, DL you know we love you! Thanks for all your work putting this together. One vote for I am Not Shakespeare. DL we miss you too, but we appreciate all the work your doing for WRiTE CLUB it's such a great opportunity to get our writing out there. My vote goes to I Am Not Shakespeare. The piece drew me in and I could visualize the characters and empathize with the MC. Lilith Trueblood had some good action, but I never felt I was there in the scene. It felt distant and I wasn't quite sure what was really happening. I did like the line, "My breath catches as my mind wraps around the horror that tears my world apart." I love this Write Club idea! Fantastic! I don't like voting though, but I enjoyed them both! Miss ya DL and really appreciate all that you are doing. This is a great event. So, thank you. I vote for I am not Shakespeare. I felt more for the piece. Great job to both writers!! Interesting entries today. I really enjoyed I am not Shakespeare's excerpt...the pacing, well chosen details, the emotional honesty and subtlety really made me feel the confidence of the writer. One of the best entries so far. Lilith Trueblood had a lot of tension and an intriguing situation but the voice and pacing made it harder to get into. I am not Shakespeare for me. My vote goes to I am not Shakespeare. Both pieces were very compelling. We still love you DL! Both need a little work, but I vote for Lilith. But yeah, we miss you too. Hang in there. In spite of some hesitation, I have to vote for I Am Not Shakespeare. This piece has some rough edges, but the core is effective. The emotion comes through, and I do get pulled in enough to care about the character. I thought the line, "I avoided meeting his eyes because then he would see the tears that were finally starting to build" worked well at the ending, balanced against the opening of not crying. Still, there are some things that could stand some polish. For one thing, is the MC male or female? There's no clear indication, and I think it would ground the reader to know. I also think lines like "...unaware that a colossal change had happened" are intrusive. It's much more effective to simply show the scene as it happens and let the readers realize for themselves what the change is and why it is colossal. Lilith Trueblood has a scene that contains a huge amount of high-stakes events, and it should have a tremendous amount of emotional impact, but unfortunately, I'm left at a distance and feel disconnected. There are many characters quickly introduced as the MC's family is named, and it is a little distracting to sort out the relationships. There are many confusing elements -- for example it seems like they're taken by surprise and unaware of what's happening ("What's that sound?") but yet all still assembled into the basement in preparation for it. The descriptions are a little vague and cliche-riddled (examples: "like a sardine can" -- this image puts me away from the MC, out of the house, watching something peel it open; "like the Fourth of July" -- this makes me picture fireworks going up, not balls of fire descending). Some of the lines meant for impact fall a bit flat -- 'Chaos ran amok,' 'Two soldiers rising from the ashes'. I do think there's the start of what could be a riveting story here -- Charlie and his brother Penn survive the destruction of their family and everything they know and go on to... fight the aliens, conquer the zombies, reunite the remnants of humanity, or whatever. Unfortunately, this opening just needs some editing to better connect with the reader. I don't have any interest in reading about a neglected child. Whatsoever. But the writing style was miles above Lilith. It could definitely use some editing here and there. The voice came across as being older than I think was intended. But again, was written more clearly than the second piece. Lilith (To be honest, I thought it was going to be about vampires considering the author's pen name... Thankfully it wasn't) I wanted to vote for yours; the more action-packed piece. I couldn't because most of the action descriptions just didn't work for me. Why did Penn tilt his head toward the doorway? What does that even mean? Why did dad and Calvin leap into the air? "Peels open before us like a sardine can" works. It's visual and familiar... I can picture it happening. "The force of the impact..." What impact? The impact of peeling? "Dad and Calvin's lifeless bodies..." They died? How could you possibly know that? "Out of my line of vision." An author can get away with blatant sentence fragments if it's done well. It may even strengthen the voice. That is not the case here. "My breath catches as my mind wraps around the horror that tears my world apart." It took me ten full minutes to realize this is a sentence describing the main character's feelings on his/her dad and Calvin being dead. "A two-by-four rights him." He's leaning on it? "Chaos ran amuck." ... You can do better than this. As for the last line, tt seems like you're more victims than soldiers. I'm sorry for being so picky. I only do it if I care and again, I wanted to vote for this one. I don't know what happened here and the closest I can imagine is a meteor shower. I'm reminded of something Brandon Sanderson said of action scenes, "You want the character to be in chaos. NOT the reader." Interesting... Hmm... OK, so in #1, writer has a good handle on breadcrumbs and giving us just enough bits of information to make things interesting. And it has great elements--the red dress, the suitcase. I could really feel the emotions there, and I could see the dad (?) going through the house, the kid holding her breath. I want to know Why? And what's going to happen? #2 has a lot of great descriptions and the writer has a good grasp of action-language, but I couldn't seem to figure out where we were or what was happening. It's too much too fast. We need to be grounded in the who and the where a little more first. I'm not Shakespeare gets my vote today. And thanks for hosting this great event DL everyone seems to be enjoying it so feel proud! Good work to both writers, it's not easy having your entries judged by so many people. My vote for this round goes to I'm not Shakespeare, the mc pulled me into the story a little more. And DL, U Da Man. Thanks for all the work you've been putting into this. AW! Don't feel lonely :( Sorry I've been caught up w/ WriteOnCon and NaNo this month. I know I haven't been bombarding you with a dozen emails a week ("OMG what if my story isn't good enough? OMG this agent didn't respond? OMG OMG OMG") but don't worry, we'll be back to our regular scheduled program soon enough. I've been falling behind w/ my WIP (I know that finger is getting ready to shake at me, but I have good reasons) but I'm excited to at least share the first half or three-quarters with you in September!! AND NOW... onto my vote. To writer #1, what's with the self-deprecating penname? :) My vote is for that entry because I connected with the story better. I always go with the story that I "fall into," and I definitely did that with the first entry. However, that being said, the writing needs to be tightened up. There's a tense problem in the second sentence (it should be "my mother had not only left him, but HAD also FORGOTTEN to take me with her") and missing or too many commas here and there, but that's my inner editing Nazi coming out. Story #2 was tighter in a technical sense, but I had no idea what in the blazes (ha) was going on. And weren't Dad and Calvin alive a second ago, and all of a sudden their "lifeless bodies" are airborne? I'd like more of a step-by-step connect there. Everything was happening so quickly and I know that we are supposed to sympathize and feel for the last two survivors, but I just couldn't get into it because I was trying to figure it all out. It didn't hook me. So my vote's for #1. Great job both! I have to state upfront that I just enjoy a certain kind of fiction over another. I'm not really into apocalypse, mass destruction, gore or dystopia but I do appreciate the drama of the everyday. For this reason, I have to cast my vote for I Am Not Shakespeare. There were a couple of other things, though, that swung my support in that direction. First, the pen name. Right off the bat, I'm endeared and predisposed to like this person. Now, if the writing hadn't been there, I would have just smiled at the pen name. But it was there. Perhaps it wasn't the most technically-proficient piece on the planet -- something I have obsessed about at times as a former copy editor and English teacher -- but, like Penelope Clearwater's, Not Shakespeare's piece stretched its little fingers out and began to wrap them, one by one, around my heart and then squeezed. I am learning a lot from my fellow writers. Loved Not Shakespeare's sense of self, loved the writing. Happy to direct both a vote and a little bow in their direction. Oh, and DL, you are being immensely unselfish and so is your wife. Thank you. Voting I am not Shakespeare, the writing drew me in more than Lilith's piece and made me want to know more. This was a tough choice. Both pieces are rough, but I Am Not Shakespeare gets my vote. These were both so good, but after considering my gut reaction as I read them, I'm going with I Am Not Shakespeare. Both pieces were a little confusing: no indication of whether either narrator was male or female. Both pieces need some proofreading: "His fury was palpable and his disgust was evident, he didn’t want me either" is a comma splice and "amuck" is not a word. However, the first piece captures emotions very well, and the description of the father's face turning the same colour as the spaghetti o's was genius. The second piece was unrealistic: how Calvin stand on his broken leg? how does the POV character get away from the fireball that's heading directly toward them? Therefore, I'm voting for I Am Not Shakespeare. We miss you too Don :) Don't worry, this will all blow over soon enough, and in the meantime, we'll have a lot of fun! My vote goes to I Am Not Shakespeare this time. I agree with some of the other comments in that both pieces needed some editing but there was definitely more to question in the second piece. The first piece was clearer about what was going on. Not Shakespeare gets my vote. Thank you, both DL and the super-generous woman who, I suspect, is doing an awful lot behind the scenes. My vote is for Not Shakespeare - nice writing. However, I had trouble connecting with the POV character and wasn't sure why, then I realized s/he seems like a narrator and the story is actually about the father. He is the one doing things rather than just sitting and observing. If you deal with this issue, I think more of your mc's "voice" will come out. Lilith - I think this is another case of starting in the wrong place. I believe there were 5 characters introduced in < 500 words and three of them died. I get it that the mc just took a big loss, but it's hard to care when I know nothing about him/her. I'm not a fan of dialogue as first line - this is because I am all confused as to what anything means without some scene setting first. I was probably a third of the way down before I understood what was happening, then had to start over. Generally readers won't give an author that second chance. You have tight, exciting prose, and if I were invested in the story I know I'd read on. There's a lot of advice going around to start with action, but it needs to incorporate character development. My suggestion: back up to where the mc is *doing things* - showing how s/he will drive the story, rather than just have things happen TO him/her. Of course I don't know your story, but I could see this excerpt coming at the end of the first chapter. Maybe that is what this is? I am assuming here this is the start. Your ending line was great - however, I have no idea whether the two already are soldiers, or whether this experience just made them soldiers. I'm writing a lot here and that's because I see so much potential in your piece. Both pieces were excellent minus a few editing mistakes. The first one had very clear writing and definitely elicited emotion. The second one was more of an action-piece, and with well-done action at that. I really liked the imagery and the final line. I'm not sure what exactly happened, but the image of the house being ripped open like a sardine can stuck with me. In the first piece a part that jogged my brain away from the story was "stomped back and forth from the kitchen to the living room, back to the kitchen". It seemed that you couldn't be stomping back and forth and then back to the kitchen. I know what is meant, but it isn't well worded. Also wondered how he heard the garage door again, when it hadn't been in the story before (assuming it meant he was thinking of the garage door closing when his mom left?). A favorite red dress was a bit predictable - I'm assuming the child saw her packing then, since it isn't visible in a suitcase. But other than that and a couple minor edits, I liked the writing in this piece much better than the second one. There were too many issues with the second one. Reading comments above mine, I can see that they have found them also, so I won't hash over old stuff. Oh, but I have to say one thing about "chaos ran amuk", the preferred spelling of that is amok, but regardless, something running amuk is chaotic. That stood out as an unnecessary insert. Now I'm going to be quiet. And DL, try not to be lonely. Just do what you need to do for now, and know that we are all here. It's like having a new baby in the house who gets all the attention. I'll have just one more cracker with cheese, but no more whine, thank you. Try to get some breathing time in there too, DL! Again, lots to like in both pieces. I liked the character in #1 - she pulled me in and made me care about her. I liked the action in #2 - good visuals - but I found some of the phrases threw me out of the scene at timess. My vote goes to #1. LOVE what you're doing, DL. A fantastic job all around. We miss you but we know this is temporary. We won't leave when its over! My vote: I Am Not Shakespeare. I'm going to vote for Lilith. Both were good, but this one had me more intrigued. Hmmm... that's rough, but I'm going to go with Lilith Trueblood. Miss you too DL but I think everyone can imagine how much work you are putting into this, so it's completely understood. Thank you for hosting WRiTE CLUB and safe travels with work. I find it a little funny that the first round in ages where I can honestly say I generally liked both stories is also the first round just about everyone had a bone to pick with both of them...I'll try to figure this out, but I'll need a crayon. Anyway, I'm voting for I Am Not Shakespeare. The main flaw is that the author seemingly wrote this story from the perspective of the narrator, but other than being caught in the middle and not being wanted by either parent (the fear of every child of divorce, which may actually be the point), we never really get a sense of why. Then again, my parenthetical phrase might have explained that. Lilith Trueblood, as just about everyone has pointed out, put the reader in the same chaos as the characters. In something this short, this may not necessarily be a bad thing. But it will cost you votes. I hope it's not too snarky to say, but many of these rounds have felt like a Presidential election - voting for the lesser of two evils. This round was a real competitions in my limited world. Both pieces could probably use some refining, but each is a great start on something that could be terrific. I will have to vote for I'M NOT SHAKESPEARE, as I felt it required less editing to make it superb. Like the typical 'dumb blonde' that I am, I forgot to say; "Hey, DL, I miss your REGULAR type posts, but I am enjoying Write Club. It's all good! Miss you, too, DL. I'm going with Not Shakespeare on this one. Both need tightening but the child and the situation felt real in the first entry. The second one felt very disjointed. They're both very good. I am Shakespeare gets my vote. God, it's so hard to vote on such short snippets. Both pieces appealed to me differently. I'm voting for Shakespeare, although I think Lilith's piece has real promise. My main problem was she tried to pack in so much in so few words. The piece might be more powerful if she stretched things out, which of course she couldn't do and stick to under 500 words! In Shakespeare's piece I didn't get a real feel for the age of the child, but again in more space I'm sure that comes out. And DL, keep up the hard work, we all appreciate this opportunity to see how our peers react to different submissions. We all know you'll be back soon! Aww, DL. Sorry you're lonely. You and your wife are putting in an incredible amount of work on this, especially since you went from one bout a week last time to three bouts a week this time. Thank you! This is another extremely tough choice for me. Both entries had strong writing, with sensory details, and a richness that shows they're both seasoned writers. Both also had a couple of minor flaws. In I Am Not Shakespeare's piece, we don't know how old the kid narrator is, but I doubt he/she would say something like: "His fury was palpable and his disgust was evident." The red dress line also threw me, but that could be solved by saying "She packed her red dress (etc)." But I love the narrator shoving in SpaghettiOs, and I love this description: "His face turned the color of the sauce in my bowl, a muddled, reddish color." Lilith's piece was more exciting, more immediate. But I found myself confused a few times and had to re-read some lines. For instance: "Dad and Calvin leap into the air as I scramble to get my back off of the floor and on to my feet." That would be clearer if you just said, "Dad and Calvin leap into the air as I scramble to get back onto my feet." See what I mean? I was also confused about where Dad and Calvin were before they leaped into the air. And confused about why they leaped. Difficult decision, but I have to go with I Am Not Shakespeare. Shakespeare in spite of the first line. This round is HARD! I love both, but it's the kid in #1 who's sticking to my mind, so I Am Not Shakespeare gets my vote. I vote I Am Not Shakespeare. It was my gut reaction after reading both entries and when I went back and re-read, I felt the same way, I guess because the pov was tighter and as a reader I didn't feel like I had to stay on top of a bunch of characters. This was HARD, though. It's had to pick between two good writers. First of all, DL: I've only met you because of WriteClub, but I can feel your pain. I do look forward to getting to know more about you when the wonderful craziness that is WriteClub has passed. Now onto the entries: I'm voting for #1: I am not Shakespeare. I would say it needs a bit of polishing; some of the sentences are awkward, and I wondered from what point in time the narrator was telling the story. (Sometimes it felt immediate, and other times it felt like an adult conveying a memory. I would have liked that to be more grounded.) But it felt like finding a bit of fine silver at a garage sale--definitely worth a little scrubbing when the object is beautiful. The emotional core to that story rang through and I was totally invested in the main character. Lilith, I wish I could see some of the slower moments of your writing, because jumping into the action made it very hard for me to feel anything for your characters. The action was there, but I felt no real tension. I think if I knew a little more about the characters, I'd care more about them. Overall I think action scenes that contain more emotional truth, more drama (characters interacting and making choices) tend to pack a lot more punch, so if you could get some of that feeling into your wonderfully visual scene (I loved the sardine can bit!) it would really shine. Difficult to choose. Both are similar in technique and style. I say, Lilith Trueblood. But just by a nose. Oh wait. That's horse racing. My vote goes to I am not Shakespeare. I enjoyed both, but I'm voting for I Am Not Shakespeare. I am not Shakespeare gets my vote. Needs a little polish, but the hook was there. To Lilith TrueBlood (I can only assume you are a loyal fan of the show - as am I), your piece was action packed, but I needed a little more of a foothold in the story. The emotional connection wasn't there, but it was gripping. DL - WRiTE CLUB rocks. Thank you so much for organizing this monumental contest. I do miss your insightful posts, but completely understand where you are at this moment. I wish you the best and safe travels. What a great idea for a writing community. Well done! There have been some insightful comments on the technical aspects of both pieces. I'd like to comment on story line and plot building on the one I liked best. Shakespeare appealed to the little Annie and Oliver in all of us. I found that while I was quite disgusted and obviously saddened by the mom's walk-out on the family, that the child seemed somehow unaffected by his/her mom's departure. In fact the child seemed far more concerned by what the father might say or do once he got home. This somehow took the sting out of it for me. The fact that the father doesn't seem to try to comfort the child is what sent me over the edge. So what could I deduce from the characters? For one the mother appeared to be selfish, unfulfilled, young and pardon the pun, quite outgoing. The father seemed emotionally unaware, forceful and perhaps even hot tempered. We are left wondering what happens to the child. Which may very well be a plausible foundation for the rest of the story. I vote for Shakespeare. Well done. Lilith Trueblood. A compelling action sequence always pulls me into wanting more. My vote goes to I Am Not Shakespeare. While not perfect, it is an emotional piece with good tension. I could not get a good feel for what was happening in Lilith's piece. I had trouble visualizing. Too many names and relationships to keep track of. I vote for Not Shakespeare. I see the comments about it needing polish, and perhaps on a second look through I'd find some of that, but I personally sailed right through on the first read, feeling an immediate connection with the main character. Lilith's piece was gripping, but I had some difficulty following and my confusion pulled me out of the scene. Both pieces made my heart thump for different reasons. There were some great visuals in Lilith's, but the story in I Am Not Shakespeare's tipped the scales in that direction for me. I Am Not Shakespeare gets my vote this time.